Before we go onto the review i just want to touch on the subject of gifts for the moment, A man once said the best gift you can give to a person is your time. 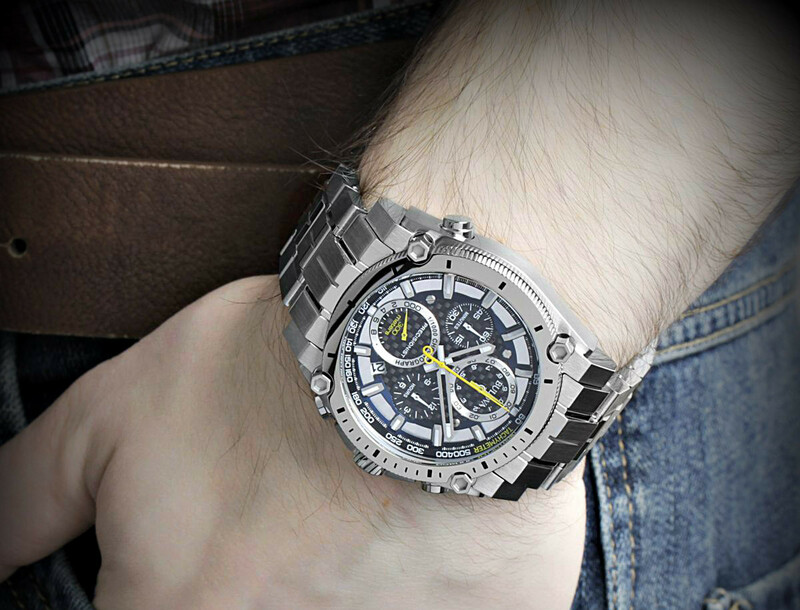 Well we think that the best thing you can give to a person is a wrist watch so they can always tell the time. It’s not that we are trying to be funny here, but we truly believe that giving somebody a watch is very symbolic and can really make a memorable gift. Of course, it shouldn’t be any watch. 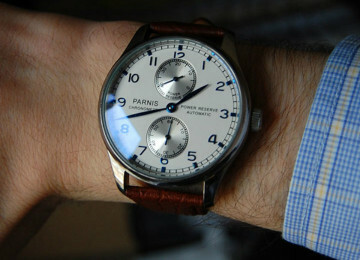 It should be a quality watch that will look great and serve its purpose. When it comes to watches, the only way you can be sure you are buying something good is to research and learn from other people’s experiences. 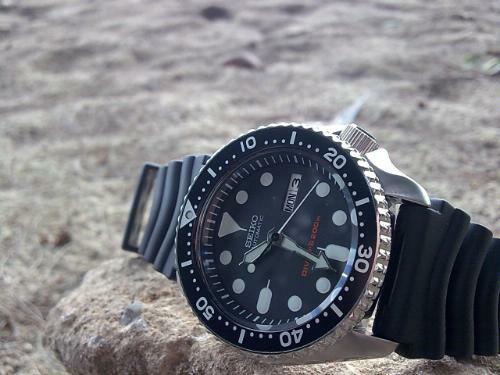 Since we are passionate about watches here is our review on Seiko skx007, a timeless model that has been considered a classic to watch lovers all over the world. 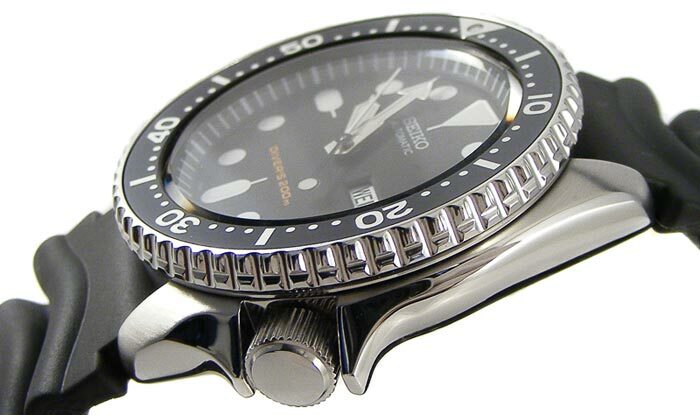 Seiko has been in the watch industry for over hundred years. It is a Japanese brand that turned watch making into art. 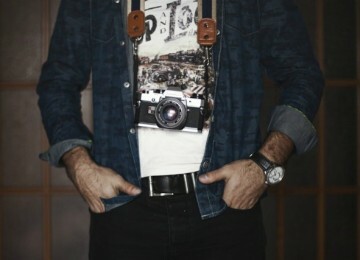 They have a variety of watches that differ in style, design, quality and price. 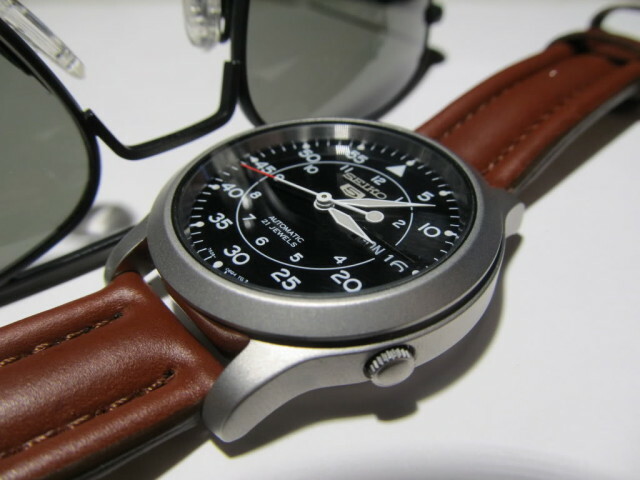 Another best sellers review in the Seiko range that you might be interested to look at is the seiko-5-snk809-automatic-review/. They have developed a world renowned brand that speaks quality, reliability and classical style. By making affordable versions of their best selling products they have given people with limited budget the opportunity to own a genuine watch they can be proud of. 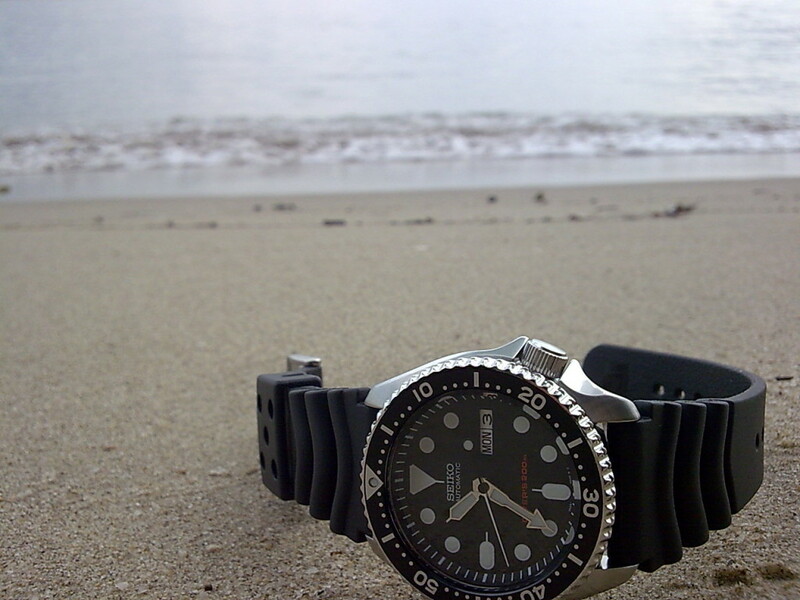 It is one of the first dive watches in Seiko history! Yes thats right and to this day the legacy lives on. The watch has a round case made of stainless steel. 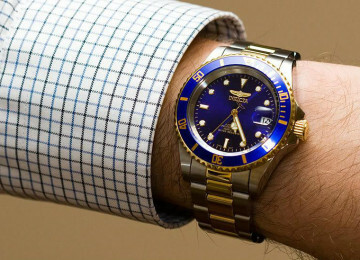 It has a diameter of 42 millimetres and it is 13 millimetres thick, which is the usual standard size for men’s watches. The dial is black with only a few silver details. The hours are marked with oversized circles that activate night vision features and also contribute to the appealing design of the entire watch. 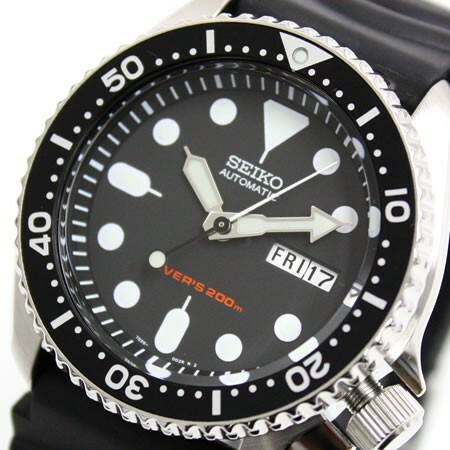 The only other thing that is visible on the dial is the Seiko logo and the automatic and diver labels. 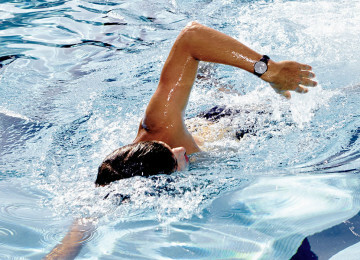 The band, as the rest of the watch, is black and it is made of polyurethane, great for water resistance and hence diving. 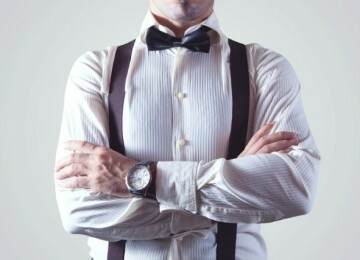 It is 22 millimetres wide and has the standard men’s length. 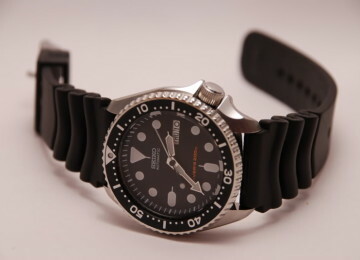 Seiko skx also comes in a stainless steal band. But for the sake of the more popular choice we have decided to focus on the polyurethane band on this review, as the edition was created for diving fans and for water purposes. Seiko skx 007 has three hands which are made of luminous material, allowing you to tell the time when there is little to no light. The hands move with the help of the Japanese mechanism. This is an automatic mechanism that works without a battery. 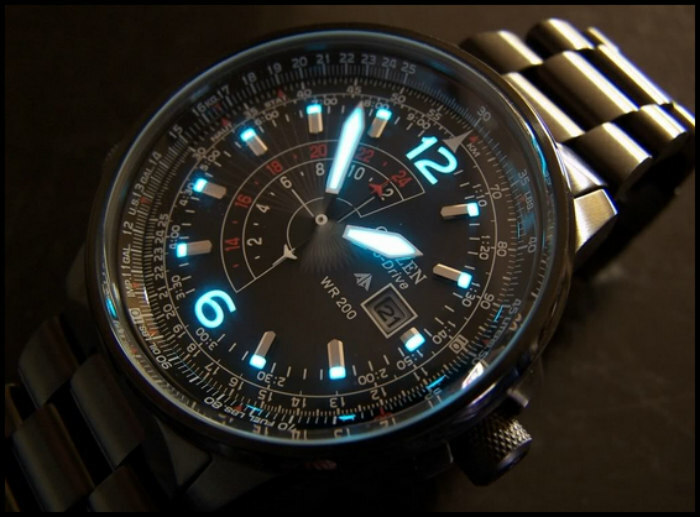 That is one of the highlights about the Seiko 007 as the watch gets powered by the movement of your arm. Due to the Japanese mechanism these watches are fairly accurate. The crown is hidden behind the four o’clock position in case you need to make additional modifications. The dial is covered by a window made of Hardlex crystal. This crystal is a mineral that consists of several elements combined to provide solid protection for the watch. It would have been better if they have decided to go with the sapphire dial window, but that would have probably had a big impact on the price. Instead they have chosen to go with something that will make the watch resistant but will have no effect on the price. The hardly crystal is solid and unless you smash it with a hammer than I’m sure nothing will happen to it. No I’m just playing but catch my drift take care of it and unless it collides to something with great impact than i have no doubt it will be fine. 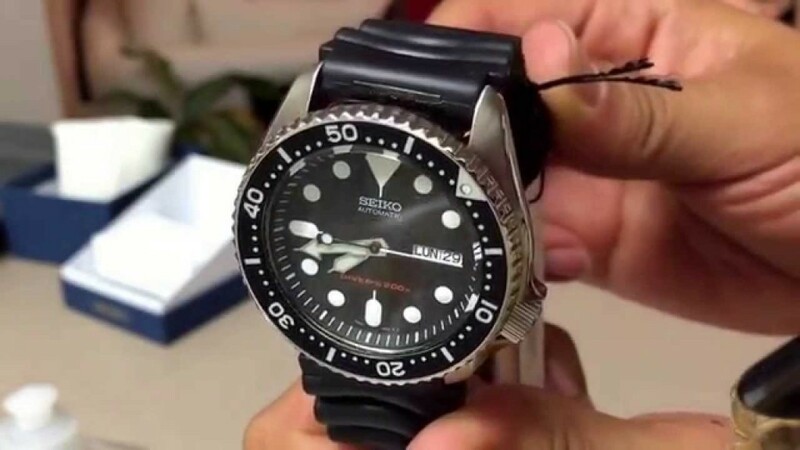 Seiko decided to focus on giving this watch the primary purpose for diving. Therefore they have made it to be water resistant for up to 660 feet. For its price, value and functionality no wonder why this watch is one of the high demanded watches in the market today!Apart from the usual splashes of water that most watch can resist, this watch can be worn under deep water enabling you even to scuba dive without any worries and for almost any sports activities on the planet ! In addition Seiko stayed true to themselves and gave one display that indicates the date and the day of the week adding extra convenience. 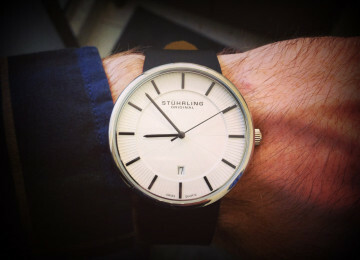 This watch is solid all around. The movement and mechanics have proven to be of quality. Also the materials used to make this watch extend its life cycle and make it resistible to a variety of exterior influences. 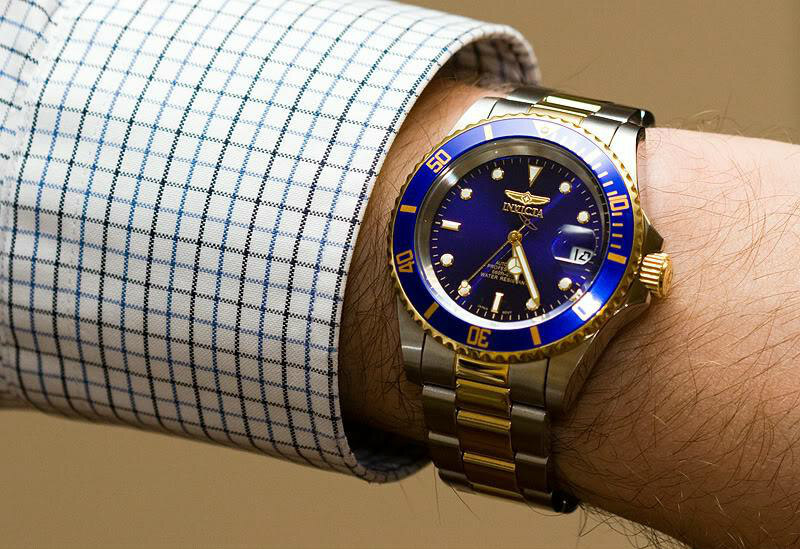 If you are interested in reading more about divers watches check out my post on the Best dive watches under 1000.